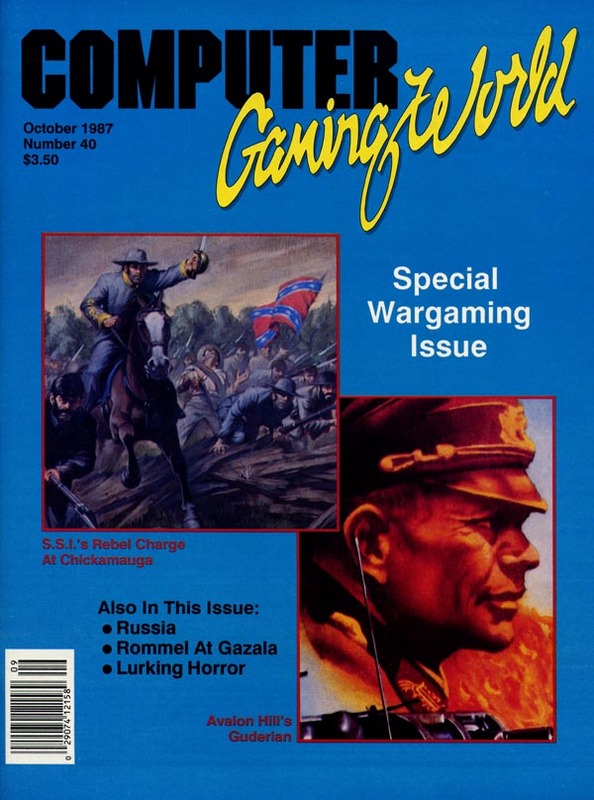 Computer Gaming World Comments and Highlights: For issue #40: a new logo, and articles on wargames, such as SSG�s Russia: The Great War, SimCan�s Rommel at Gazala, and Avalon Hill�s Guderian. Also featured were an article on the origin of company names and playing tips for The Lurking Horror. Just as interesting was a comparative preview of Wizardry IV and Ultima V.